In 1874, William D. Lawrence secured his place in marine history by constructing the largest wooden-hulled, fully-rigged ship ever built in Canada. An ardent believer in Nova Scotia’s 19th-century maritime power, Lawrence highlighted the critical role played by the shipbuilding industry in this province. 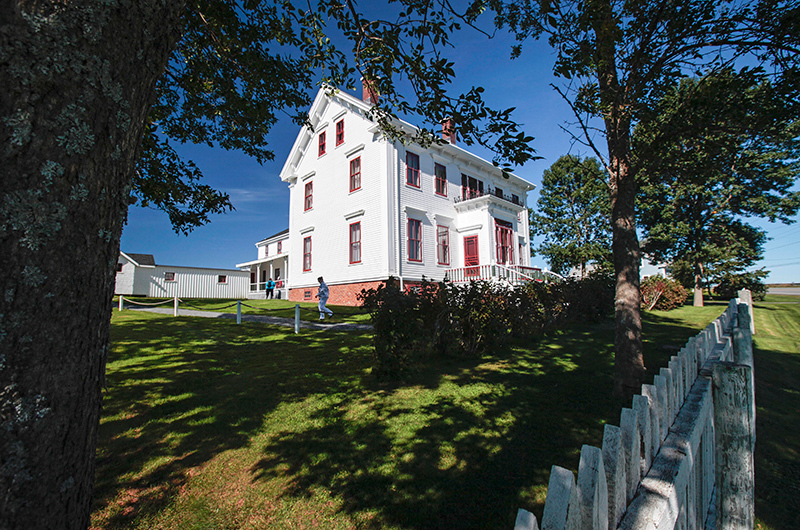 Come visit his bright Victorian home in the Fundy Shore region and enjoy photographs, exhibits and tours that feature Lawrence’s era of shipbuilding, as well as tales of the Golden Age of Sail in Maitland. In Maitland, the first municipally-designated Heritage Conservation District in Nova Scotia, Ducks Unlimited Canada (DUC) maintains a dyked pond located on part of the original Lawrence House grounds. Visitors can enjoy this 25-minute easy walking nature trail around the DUC marshland habitat while enjoying a variety of local flora and fauna, including bald eagles and waterfowl.